Noble Fir (Abies procera) Christmas trees have a blue-green color, branches are strong and evenly spaced perfect for hanging ornaments. Noble fir are native to the Pacific Northwest. Holiday Specialtrees takes care to fertilize and shear the Noble fir to ensure a beautiful Christmas tree for the holiday season. Noble firs are now the most popular in the western United States. Holiday Specialtrees ships Noble fir to cold and warm environments where they perform well in a variety of countdowns. They keep well and have a pleasant fir scent. Douglas-fir (Pseudotsuga menziesii) remains one of the most popular Christmas tree species. It naturally grows to a wide-based cone shape with rich green to blue-green color. Douglas-firs are dense with needles radiating out in all directions. They have a classic uniform Christmas tree shape that is easy to decorate. Douglas-firs are normally sheared once a year and are ready for market within six to eight years. 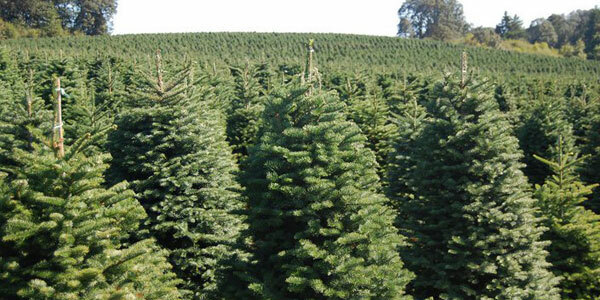 Holiday Specialtrees ships Douglas-fir to a variety of destinations. Its fragrance and needle retention make it a popular choice. Nordmann fir (Abies nordmanniana) has been gaining popularity in the United States but have been used in Europe for many years. Nordmann fir have symmetrically arranged strong branches with short, dark green needles. The Nordmann fir is very durable tree with excellent needle retention. Pricing and availability of our products is available by calling 1-800-470-7048. Noble Fir Christmas trees are blue-green in color and have a fresh fir scent. Douglas fir have a dense full bushy shape and fine soft green needles. 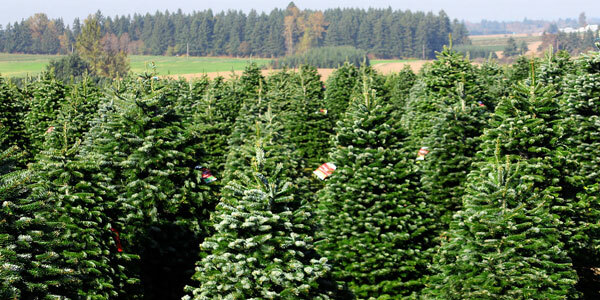 Nordmann fir Christmas trees are long lasting and have symmetrically arranged strong branches. Contact us today to place an order or to schedule an appointment to visit our operation. 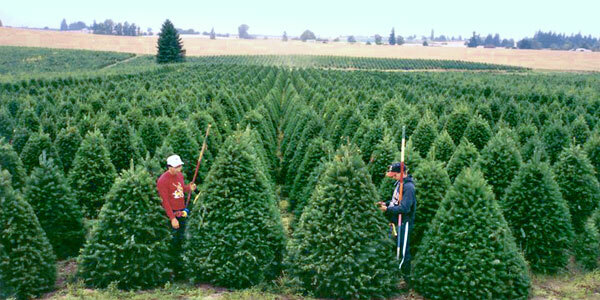 Holiday Specialtrees is a grower of Wholesale Christmas Trees. We currently farm 2200 acres with over 3 million trees in production, specializing in quality Noble, Douglas, and Nordmann fir Christmas trees. I-5 to Exit 271 Woodburn, head East on Hwy 211 for 9 miles, at the Canby/Yoder Jct, turn right and go 5 miles to our office and the main loading yard.